The Purple Scarf: Exhibit: Celebrating One of the Coolest Places in the World! Exhibit: Celebrating One of the Coolest Places in the World! Vouge Magazine recently proclaimed West Queen West in Toronto as the Second Coolest Neighbourhood in the World. 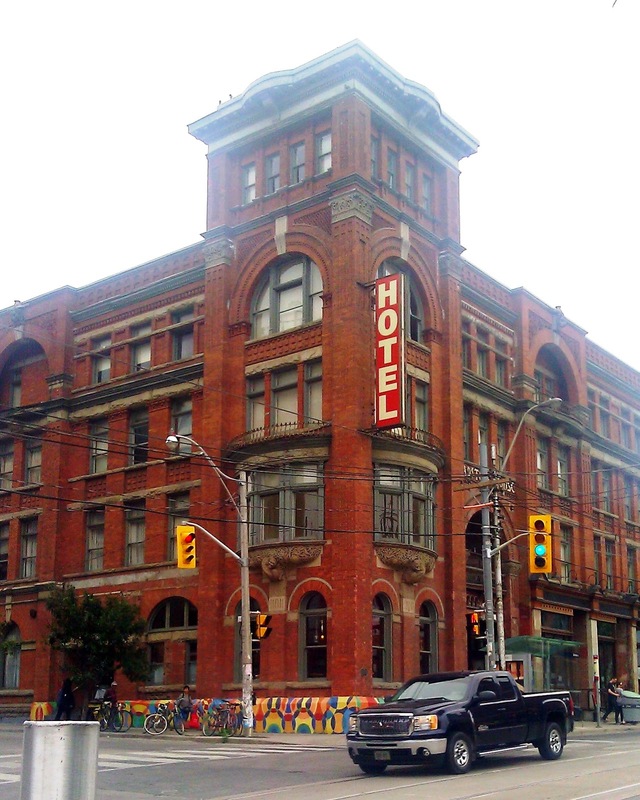 And one their reasons is the Gladstone Hotel. Come find out how the Gladstone has become such a cool and hip place in one of its newest exhibits, 125/THEN/ NOW/NEXT, a fabulous celebration of the rich cultural and architectural history of Toronto's oldest continually operating hotel. 125/THEN/NOW/NEXT is a three stage exhibition celebrating the 125th birthday of the historic (and one of my favourite places) Gladstone Hotel. The THEN portion consists of cool historical photographs and interesting artifacts sharing stories and chronicling the diverse past of the Gladstone Hotel. The NOW part is an interactive exhibit where visitors are invited to share stories and memories of the hotel and how it has impacted their lives. Anyone can submit their stories online via social media, or at the exhibition space itself. Coinciding with Nuit Blanche on October 4, 2014, NEXT will feature several artists taking over the second floor as they present their ideas and pieces for the space, "helping to predict the future of the institution while saluting its past." So make sure to drop by during Nuit Blanche to see what the future has in store! Also, check the new Heritage Plaque recently unveiled at the hotel. 125/THEN/NOW/NEXT is running until October 5, 2014. And as always: free to all! P.s! : I will be sharing this post as my story for the NOW portion. Over the years, I have enjoyed many late nights at the Gladstone, where my friends and I felt comfortable being ourselves. I have come to love the Gladstone Hotel and its many and amazing free art and cultural events. 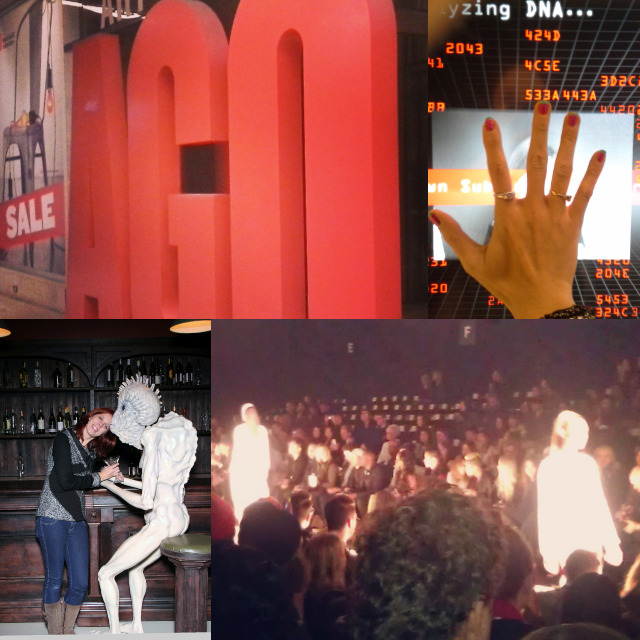 I have featured these events and exhibits on my blog frequently and will continue to do so. I love that most exhibitions are free and open to the public so anyone can visit and appreciate. I believe that all forms of art should be accessible so everyone can learn and enjoy. The Gladstone Hotel not only provides the public with amazing free art exhibits, but offers the opportunity for unknown and emerging artists to share their craft. Thank you Gladstone Hotel for enriching Torontians with your innovative and though provoking events. And thank you for becoming such a big part, not only in my blogging life, but in my personal one as well. Happy Birthday! Shopping: Toronto is Obessed with Danish Design! My Style: Fall Fashion Chic! Makeup: Revlon (Not So) Bold Lacquer Mascara! My Style: Mustard Yellow Warmth! My Style: Smart Set Denim Street Style!